"This is my mother's recipe, her mother's recipe, and so on... Basic, simple, down-home and delicious!! My grandmother's advice is to enjoy warm with a big glass of ice-cold milk!!! Poor folks' heaven!!!" In a medium bowl, cream together butter and sugar until smooth. Beat in egg and vanilla. Combine flour, baking powder, and baking soda; beat into the creamed mixture alternately with the buttermilk. 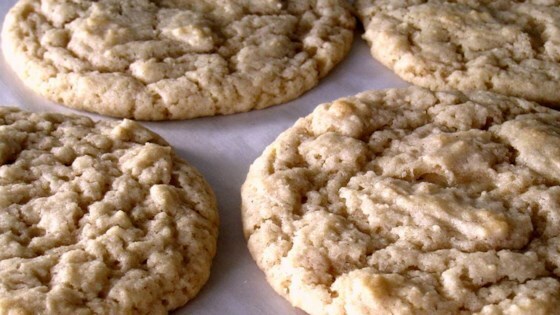 Drop by rounded spoonfuls onto prepared cookie sheets. Bake for 8 to 10 minutes in preheated oven. Allow cookies to cool on baking sheets for 5 minutes before transferring to a wire rack to cool completely. This is an easy recipe and the tea cakes were soft and delicious. I did add a 1/2 teaspoon of nutmeg and used parchment paper instead of a greased cookie sheet.